I read somewhere that repeating something 16 times makes it stick… so maybe after your mom reads 16 posts she is going to come around and get on board. Ender is a name. Your name. 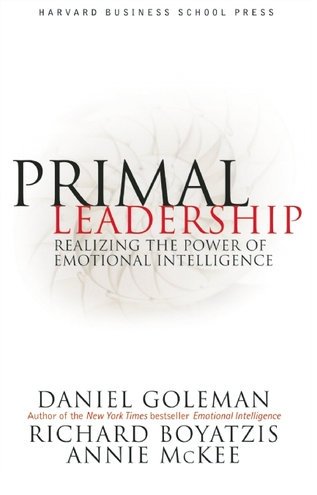 I did not finish reading Primal Leadership yet. When you read this one you are going to need pen and paper. I haven’t reached the conclusion but his chapter on the four core intelligence domains made me reflect a lot. How would you raise a child (or anyone, for that matter) to display a heightened sense of emotional intelligence? – Self Awareness. Three components. Focus on self confidence. – Self Management. Six components. Focus on initiative. – Social awareness. Three components. Focus on empathy. – Relationship Management. Six components. Focus on teamwork and collaboration. Out of the 18 components I honed in on the four that I think you need to master first. Me and your mom have a tradition (that I hope we still keep by the time you read this). Once a week we go out for brunch. No book, cell phones, tablets or any distractions. We just sit and talk. I am going to show her the full list of 18. Your mom is always right, specially so when it comes to raising her child. Her list trumps mine. I am sure we are going to find common ground on social awareness since the other two components, while important, don’t really play a role in a child’s life. I think your mom will prioritize emotional self awareness over self confidence. She may also pick optimism over initiative and inspiration over teamwork. Since I am sure empathy is definite first step towards social awareness, let me elaborate a little. When it comes to leadership, empathy is positive when it allows you to consider how other people feel and take that into account when making decisions. It does not mean you need to adopt other people’s emotions as your own. Taking it one step further and referring back to “Everyone Communicates, Not Everyone Connects”, it also allows for a better connection. I definitely have more things to say about Linchpin (chapter 42, I think) and I am going to revisit this book in the future… this weekend we have your grandma’s birthday but I am also going to improve this site and catch up on two books on talent that I want to read before the week is over. Also… go back to “Good to Great”. Take care and I am going to talk to you soon. « Ender: Not a name.